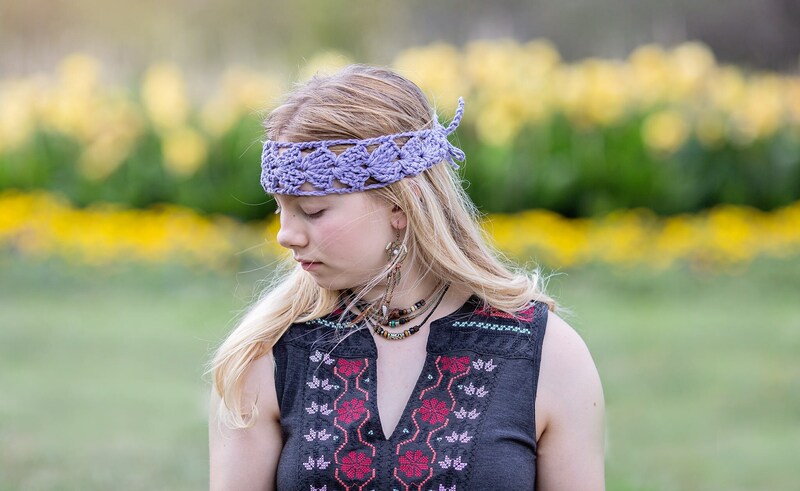 Womens 100% Cotton Headband, Hairwrap. 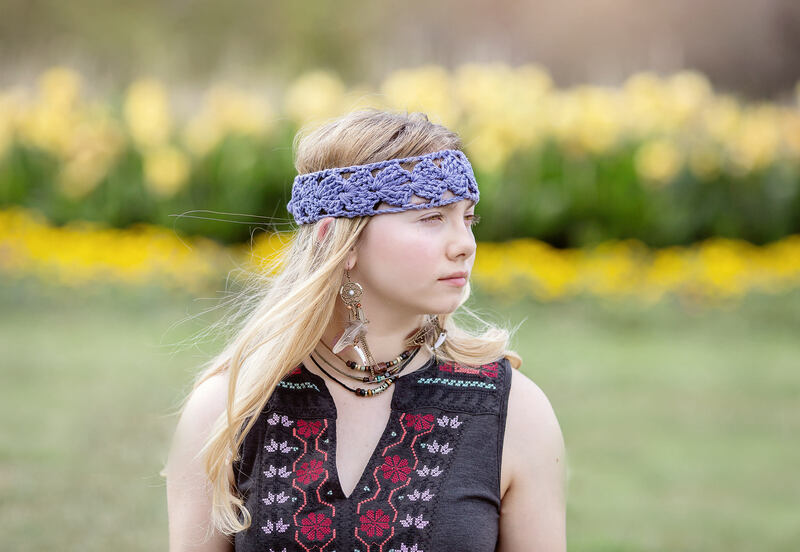 This can be worn as a Headband or a dread wrap, and is hand crochet in vibrant colors that are perfect for the beach and summer days. 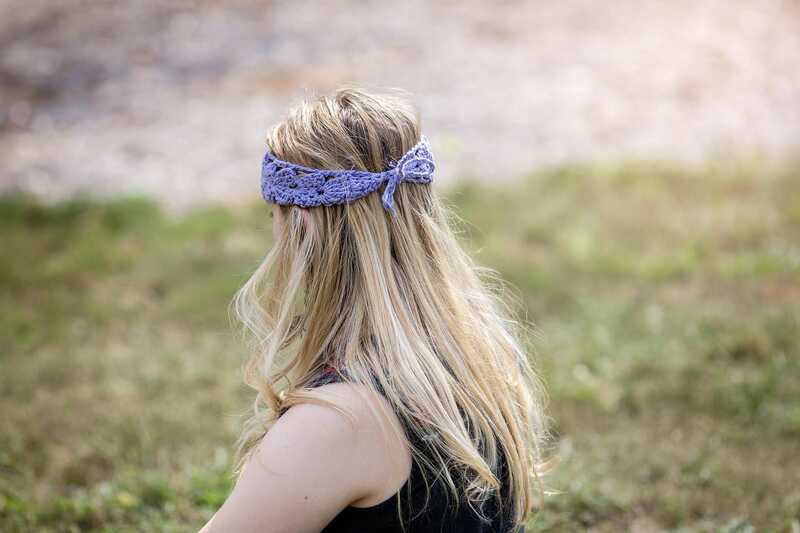 The cotton is super absorbent and cooling, will protect hair from harmful UV Rays and looks great. 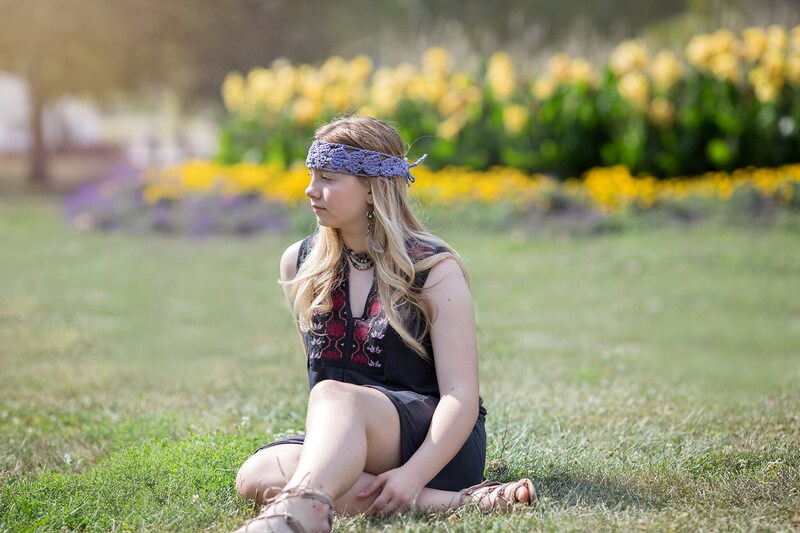 This is our most popular style, it is comfortable to wear and stays in place with the adjustable tie closure. 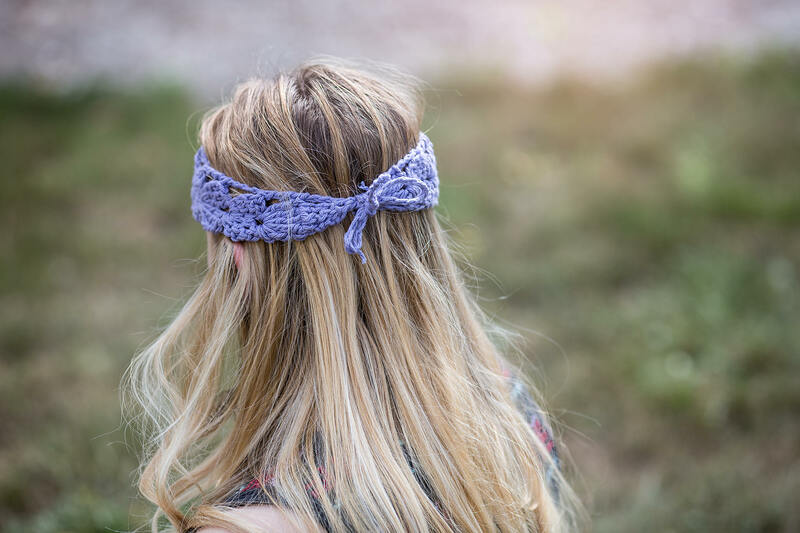 This Hairwrap can be made in virtually any color, the one pictured is a lavender. It is about 2" wide at the middle, and can adjust from 18" to 21" , which allows it to fit anyone. It is super comfortable, soft and you will not know that you even have it on. Because the sizing is adjustable it should fit over curls, straight, long or short hair and dreads. 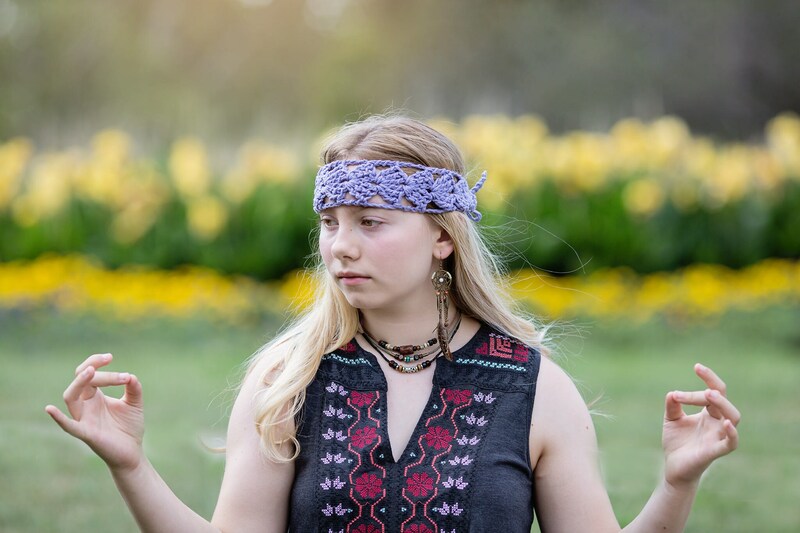 I created this headband as a fashionable alternative to a typical headband, it is easy to wear, lightweight, absorbent and flattering to everyone. If you love this style but prefer it in a different color or fiber, just convo me and I will be happy to work one up for you. 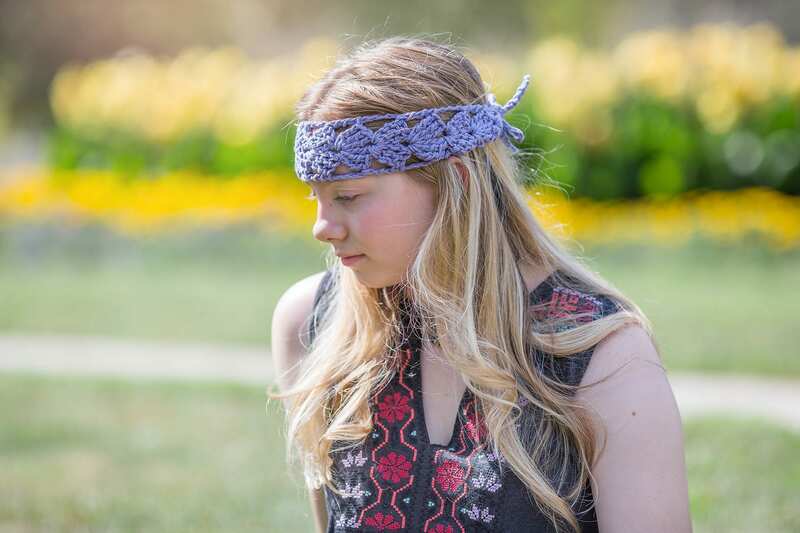 ♥ Customer Review: "This is a very good style. I'm growing out my hair and it's not long enough yet to pull back, but this headwrap really stays in place and holds it all back. It's really cute, I'm super happy with it!"